Opportunity to study in Finlandia University, Michigan-USA with OR without IELTS/TOEFL Scores via OM International. 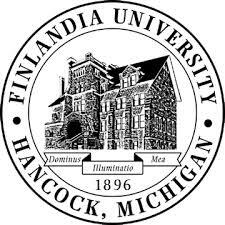 Finlandia is a fully-accredited university located in Michigan’s beautiful Upper Peninsula near Lake Superior. Undergraduate (Bachelor’s) degrees in International Business, Nursing, Art& design, and Liberal Arts are offered at Finlandia University. Associate Degree : No Scores are required for admission to Associate Degree. Students with no scores will get admission to the Associate degree in General (ESL) for 02 years. Upon successful completion of Associate degree, students will be admitted to the 3rd year of Bachelor degree directly. So, at the end of 4th year, students will have an opportunity to earn 02 degrees, Associate as well as Bachelors. Tuition Fee : $ 21,500 per year approx.